The location is amazing The staff are welcoming, professional, and doing a great job of making our stay as perfect as possible. The food was delicious and much better than in most restaurants in the area The room was very comfortable and all we needed was supplied with abundance. And again, the location is unmatched! The view. The location. The kind and helpful staff. The breakfast. Practically most everything!!! Calm place for relax, beautiful view, great service and wonderful breakfast. Constantinos is a marvellous host. The rooms, the view, the breakfast and the dinner, were all awesome. 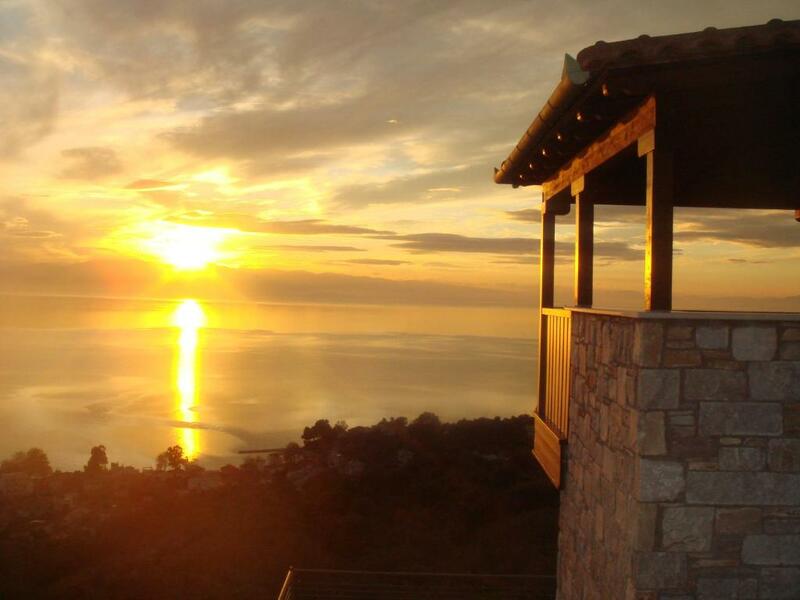 The place is a bit isolated on a mountainside, but this comes with a splendid panorama over the Volos gulf. The rooms overlooked the sea and a beautiful sunset. they had a very nice breakfast buffet in the mornings and packed us a sandwich when we needed to leave early the last day. One employee took the time to help us find the best places to explore. Beautiful place, Great hospitality, Fantastic breakfast! Lock in a great price for Karavia Lux Inn – rated 9.5 by recent guests! One of our top picks in Afissos.Overlooking the Pagasetic Gulf, Karavia Lux Inn features an outdoor pool with hydromassage jets, and a poolside bar-restaurant. It offers elegant accommodations with free Wi-Fi. Kosta Kali Beach is a 5-minute drive away. 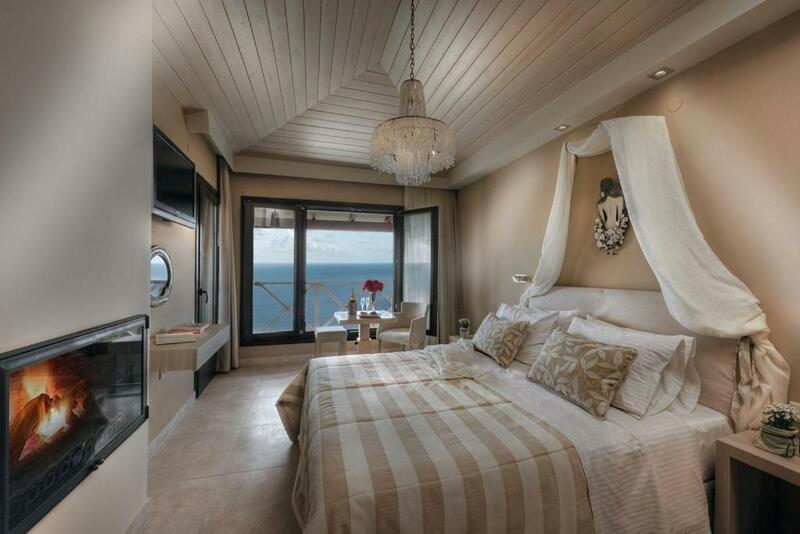 Fitted with Coco-mat mattresses and handmade works of art, all rooms open to a furnished balcony or patio with panoramic sea, pool and mountain views. They feature a geothermal cooling and heating system, as well as a 32” flat-screen TV. A modern bathroom with cabin shower is included. Some rooms also have a kitchenette or a fireplace. Enriched with local products, a buffet breakfast is prepared daily at Karavia Lux Inn and can be ordered in the privacy of the rooms. Greek and Mediterranean dishes, as well as drinks are served at the on-site restaurant, next to the pool. The villages of Afetes and Afissos are both a 5-minute drive away. 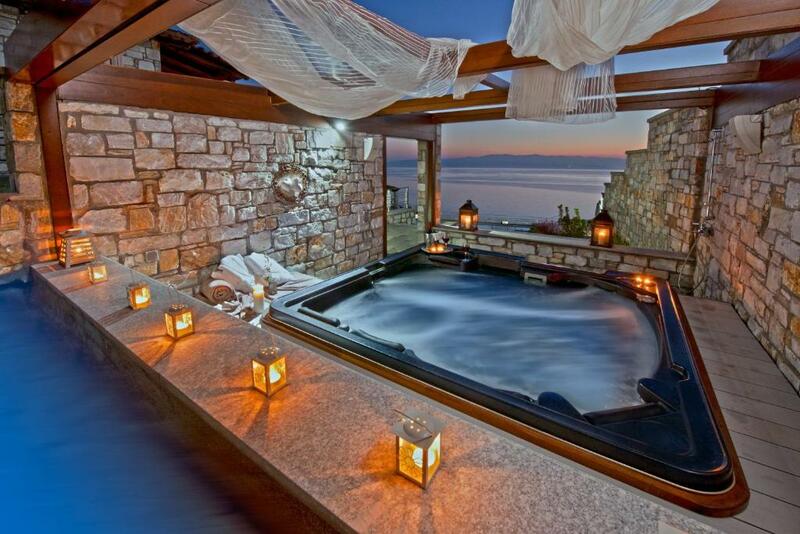 The property is located around 8.7 mi from the scenic Milies village and 17 mi from Volos Town. Free, private parking is provided on site. When would you like to stay at Karavia Lux Inn? Some rooms also include a kitchenette or a fireplace (upon request and availability). House Rules Karavia Lux Inn takes special requests – add in the next step! 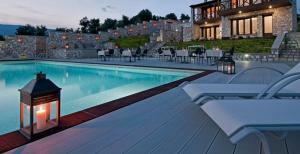 Karavia Lux Inn accepts these cards and reserves the right to temporarily hold an amount prior to arrival. Not much to do nearby especially in autumn /winter. Shower quite small. Friendly staff, nice views, nice room. At the last day we had dirty water in the taps. the hotel said it is because of municipality work being done that time. the stuff - Mr. Anastasius helped with everything we needed kindly and efficiently, the manager Mr. konstantonis and all the rest were amazing. location is good, next to the village of afissos. its about an hour to drive to the eastern side of Pelion. the scenery is great, watching to the sea and the village of afissos. rooms are comfortable, clean, and well maintained (seem new). the hotel also has a restaurant offering really good local and international dishes - we ate there every evning because it was so tasty and convinient. very recomended. The views are wonderful and the staff are so friendly and helpful. Restaurant and drinks prices are such good value for money and the kitchen serves excellent food. Breakfasts are wonderful - so much better than the stuff served up by most chain hotels! Very good breakfast. Perfect view from the room balcony. Nice swimming pool, too many non-hotel guests but they were well supervised. The bathroom was quite small. Noisy fridge and air-conditionning during the night. The room was sometimes cleaned too late. Pleasant and helpful staff. 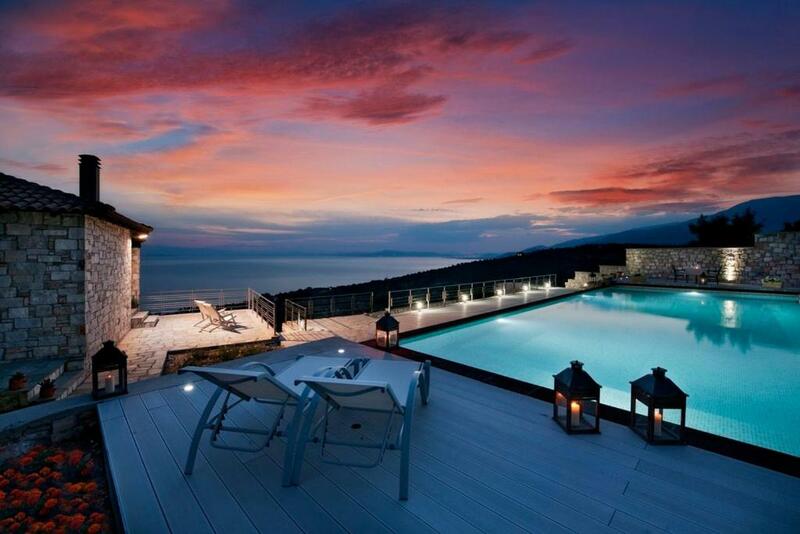 Breathtaking sea view. Good service. Great location. Nice apartment with a large balcony. Good relaxing massage service (thanks to Vasilika). Nice swimming pool. We had a rare relaxing time. The wifi and the hot water pressure were often weak. Everything! 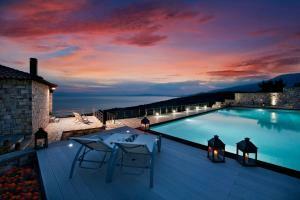 The room, The view, The swimming pool ! If most of your interst is at the east side the location is a bit far 45-60 min drive. It has excellent resturant. excellent view. The staff are very warm. We all liked it very much. The hotel was considerably over-priced compared to other facilities in the area. It was on a hilltop 2 km from the sea and nearest village of Afissos - it would have been easy to provide some shuttle service down the hill and back, even if two or three times a day. Fantastic view and very attentive staff . Food , particularly breakfast , was very good. Manager, Constantinou , was excellent .